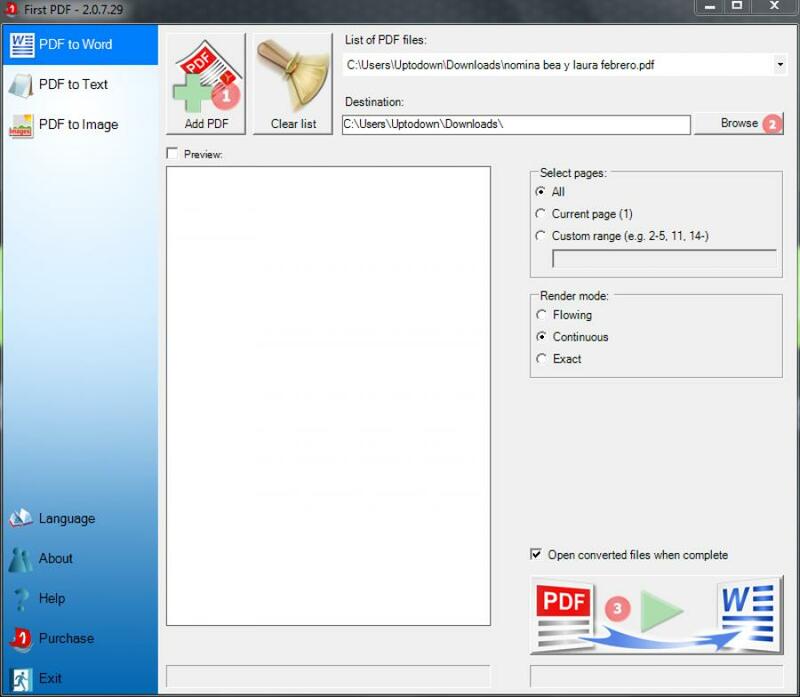 First PDF is a simple-to-use program that allows you to convert PDF files to Microsoft Word-supported documents or plain text files. One of the things that makes it very handy is that it supports batch conversion. This means that you will be able to simultaneously convert as many files as you desiread simple! Batch processing is possible, so you can add as many files as you want. 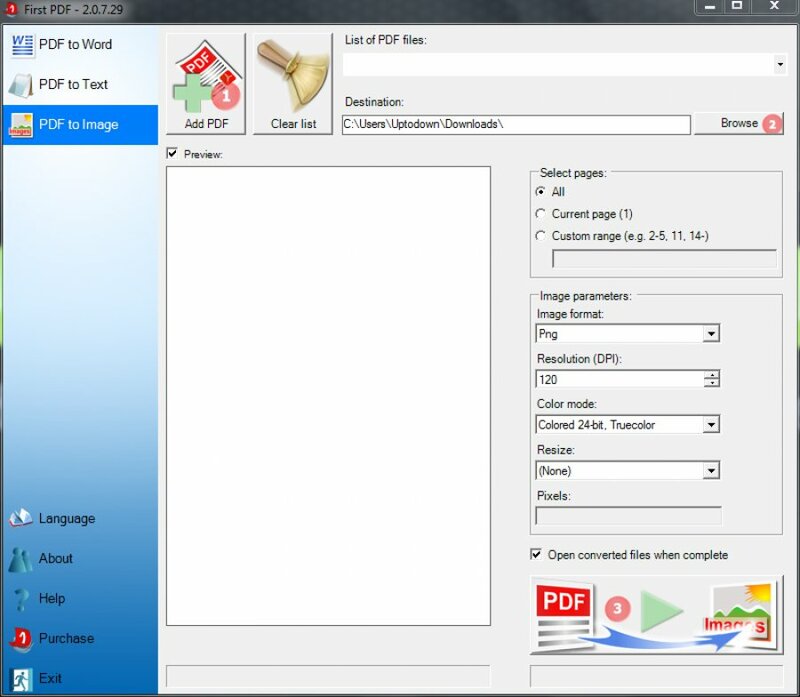 The graphical interface of First PDF isn’t only very user-friendly but also well designed. 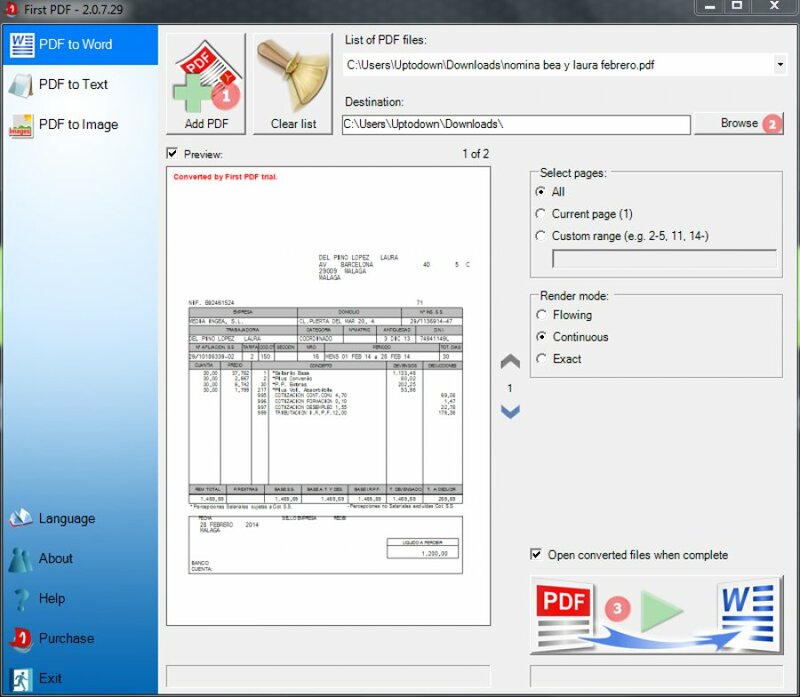 It offers a preview window, which will help you ensure that the file you are working on is actually the one that you want. Furthermore, it will automatically open the freshly created output file, so that you can verify the result for yourself.